Height (Total): 840mm 33 3/16"
Also available in a dark stain. The Modularacks simply slot together and don’t need any tools or DIY skills to assemble. 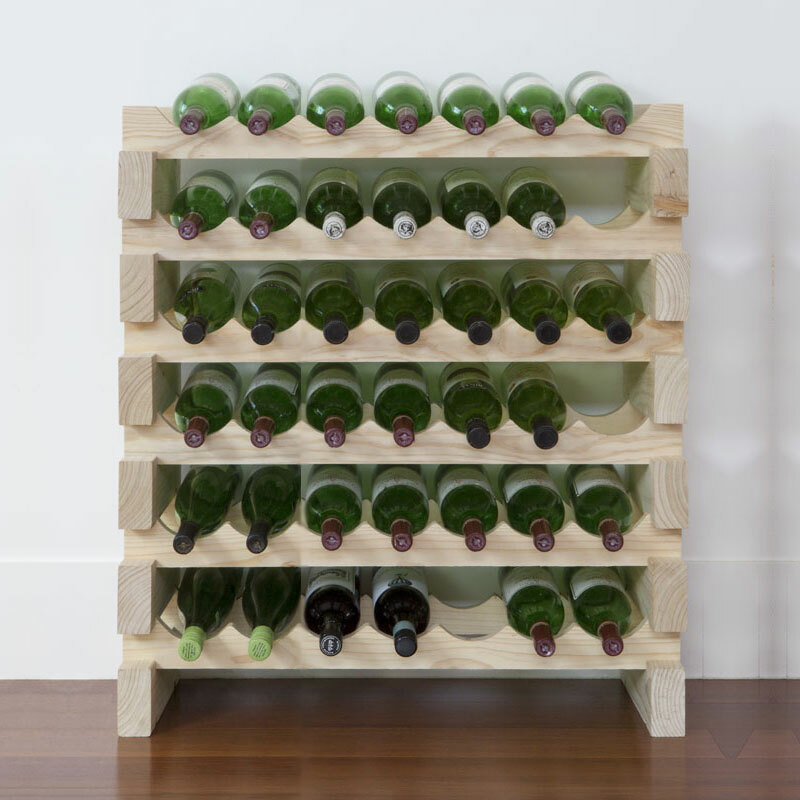 Have your wine rack ready in a matter of seconds and add more layers as your wine collection grows, resulting in a sturdy and attractive professional wine rack with no cutting, drilling or hammering required! 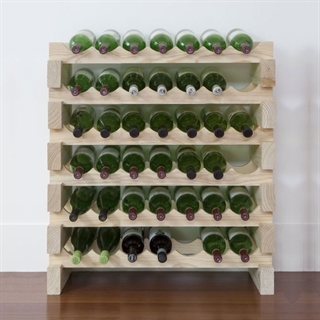 The Modularack Wooden Wine Racks are imported from Australia exclusively by ourselves. 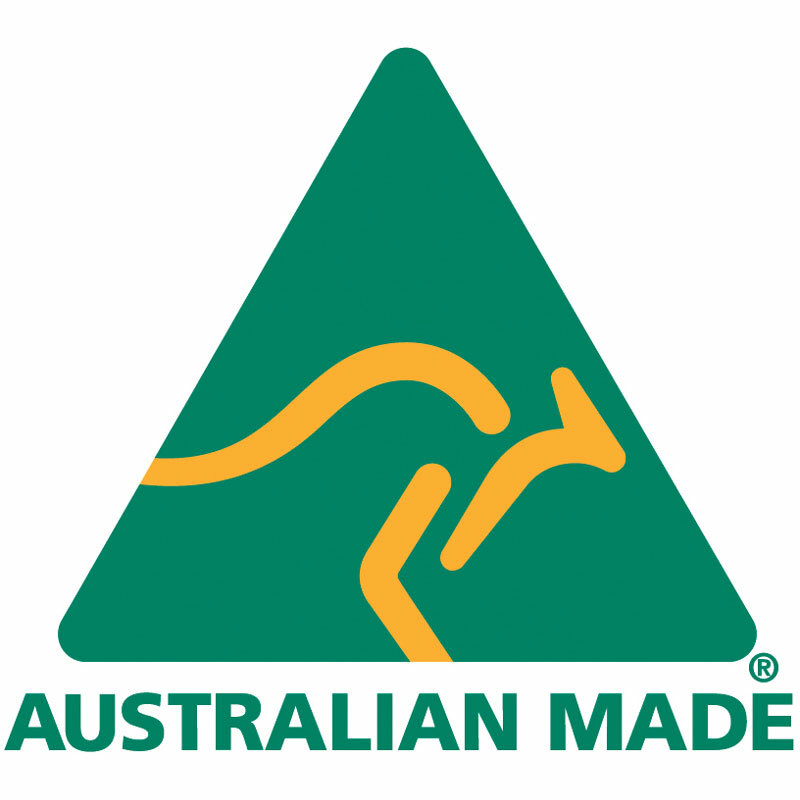 Each piece is manufactured from plantation grown Australian Radiata Pine which is a unique hardwood that will not easily dent, turn yellow or fade. 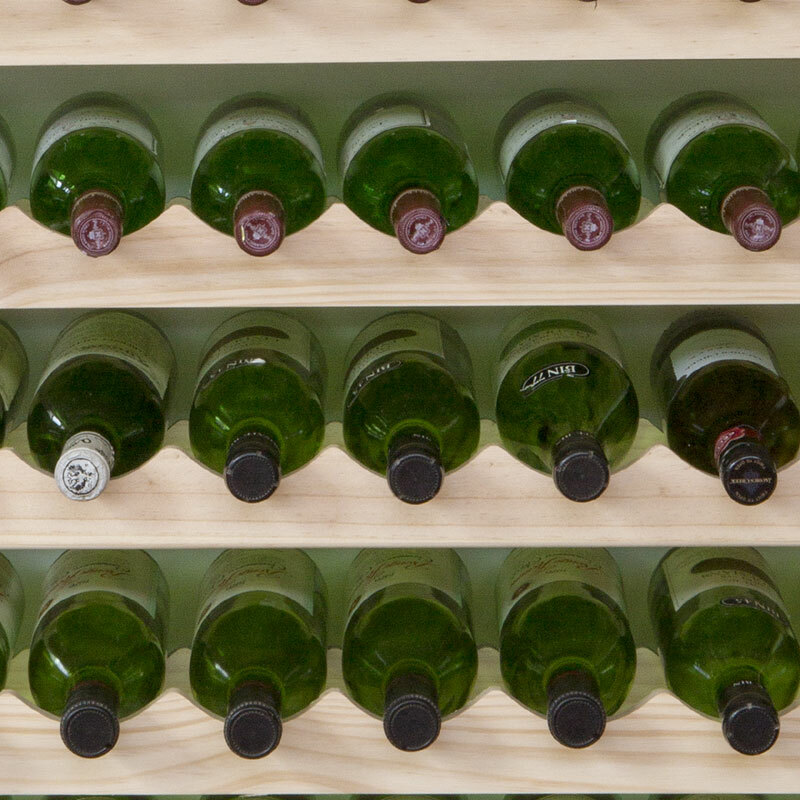 Click here to find out more information about the Modularack Wine Racks. Set two beams apart with the groves facing upward. Place two crossbars of the length you have chosen and insert them into the beam groves. Be sure the ends of the crossbars are flush fitted with the beams. Build additional rows by setting two more beams on the top of the crossbars on top of that. If you stack more than 7 layers high you should consider some stabilizing connections to the wall. Do you need any wine bottle neck tags?